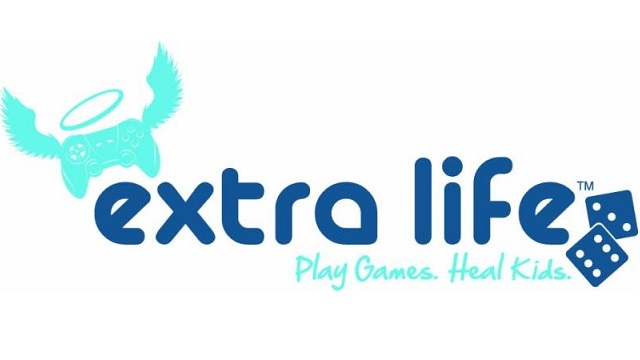 Aksys Games have announced that they will donate $10,000 of profits from Little Dragons Café to the Extra Life campaign that raises funds for Children’s Miracle Network hospitals across North America. For those who may not be familiar with the charity they have participants who pledge to game for 24 hours with one goal; to save and improve the lives of sick and injured kids. They have raised more than $30 million that have went to 170 Children’s Miracle Network Hospitals in North America. Torrance, Calif.—September 27, 2018—Aksys Games is pleased to announce that the company has pledged to donate $10,000 of profits from the Little Dragons Café game to the Extra Life campaign that raises funds for Children’s Miracle Network® hospitals across North America. Created by renowned designer Yasuhiro Wada, Little Dragons Café is a unique and imaginative game in which players manage a café, explore their world, and raise their very own dragon. The game launched last month for the Nintendo Switch™ and the PlayStation®4 system. The company also announced that the Little Dragons Café augmented reality promo app has also been updated with new content. Players can now take selfies with the animated dragon, and more surprises are coming soon. The AR app is available now for free at the App Store and Google Play. For more information, follow Aksys Games on Twitter and Instagram at @AksysGames and on Facebook. Extra Life can be found on Twitter and Instagram at @ExtraLife4Kids and on Facebook. Extra Life is a Children’s Miracle Network Hospitals® fundraising program within the gaming community. Participants fundraise year-round and pledge to game for 24 hours with one goal: to save and improve the lives of sick and injured kids. Funds raised stay local to help pediatric patients at 170 Children’s Miracle Network Hospitals across North America. Since 2008, Extra Life has raised more than $30 million for member hospitals. The movement, formed by gamers bonded by passion, is committed to saving and improving the lives of local kids. Play games, heal kids and join the community today at www.extra-life.org. Founded in 2006 in Torrance, California, Aksys Games Localization, Inc. is a visionary video game publisher committed to publishing unique and high-quality interactive content for all current-generation platforms. Its lineup of games includes the critically acclaimed Zero Escape series (Nine Hours, Nine Persons, Nine Doors, Virtue’s Last Reward, Zero Time Dilemma) as well as the wildly successful BlazBlue and Guilty Gear franchises. More information about Aksys Games and its unique products can be found on the company’s website, www.aksysgames.com.